“WHO KILLED SUPERWOMAN?” part six! In this penultimate chapter, Lana Lang prepares to grapple with the insane, god-like Lena Luthor as her army of allies launches their assault on the Bizaress swarm! 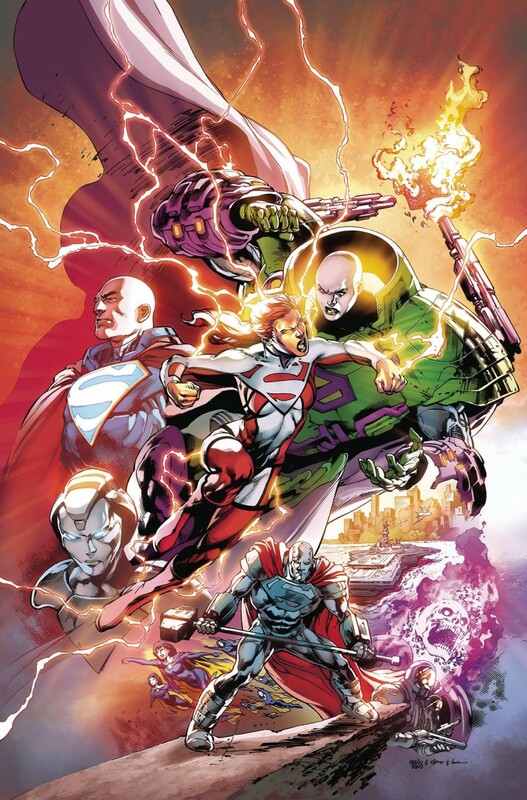 Will the combined might of Steel, Natasha, Maggie Sawyer and the MSCU, Atomic Skull and Lex Luthor be enough to win the day? Plus, the secret origin of Lena Luthor is revealed!